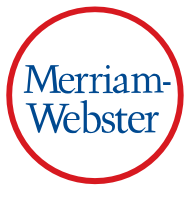 As a verb meaning "to blend or merge," meld dates only to the first half of the 20th century. In its early days, the word attracted some unfavorable attention. Those who didn't like it tended to perceive it as a misuse of an older meld meaning "to declare or announce (a card or cards) for a score in a card game" (such as pinochle or gin rummy). But the more recent meld, a blend of melt and weld, was an entirely new coinage suggesting a smooth and thorough blending of two or more things into a single, homogeneous whole. The word is no longer controversial. "Right away you perceive a chorus of instruments—trumpet, piano, saxophone and vibes—that have acquired the ability to meld their individual voices into a complementary, unified sound that delights the ears." "Formed in Limerick, Ireland, at the end of the 1980s, The Cranberries became international stars in the 1990s with hits including 'Zombie' and 'Linger' that melded alternative rock edge with Celtic-infused pop tunefulness." Fill in the blanks to complete a synonym of meld: c _ m _ _ ng _ e.